Munch & Muse: +39 (+30 minutes) = ? Only joking - that equation doesn't really add up to anything :p (Lame?) 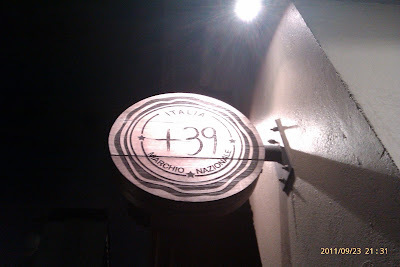 Having said that, the LHS (left hand side) does have some meaning to it - had dinner with Shanika at +39 last Friday night and because we didn't make a reservation, and it was a Friday night, we had to stand around in the restaurant and wait for about 30 minutes! The restaurant itself has a slightly rustic feel to it - I think it's from the warm lighting and wooden furniture. Close packed tables (all fully occupied), bustling waiters conversing in Italian to each other, the smell of freshly-made wood-fired pizza wafting in the air - I figured it would be worth the wait. And it so totally was! 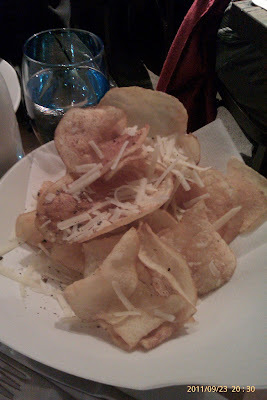 We ordered the Roman Chips ($8) to start, because we were starrrving and figured it would be served to us pretty quickly. And we were right :) The chips were sliced thinly to just the right thickness that when deepfried would be crispy and light. It was served sprinkled with shaved cheese (I think it was mozzarella...) and freshly grated pepper. No doubt a promising start to our meal. We ordered the Salsiccia pizza as our main meal ($25) - the toppings were tomato, mozzarella, Italian sausage, Porchini mushroom, and parmesan. 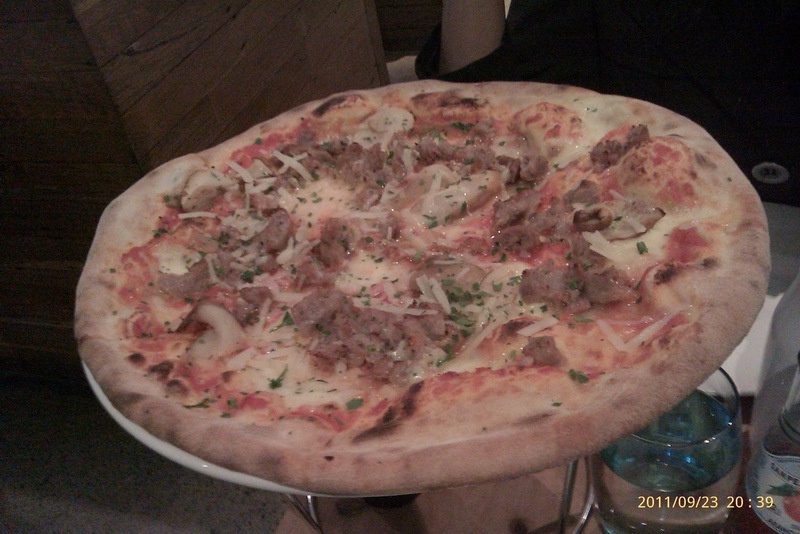 Shanika and I thoroughly enjoyed it - I especially liked the crunchy (lightly charred) crust!!! YUM. For dessert, we ordered the sweet pizza ($12), basically a dessert pizza that comes topped with nutella and strawberries and served with a generous amount of vanilla ice cream on the side. It was the perfect end to our meal. They still used the regular savoury pizza base for this dish - I liked the contrast of the flavour from the toppings with the pizza base. i hate you! you're making me hungry at work, and all i can get to eat are like, curry puffs. 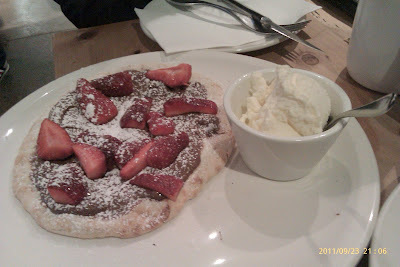 NOT ACCEPTABLE SUBSTITUTES FOR NUTELLA PIZZA YOU HEAR ME?